Tropical Fruit and Fiber Energy Bites We can all use a boost in the middle of the day, before a work out, or to just to start the day. 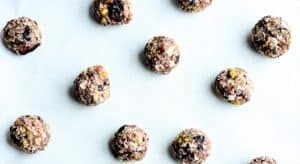 These energy bites are full of fruit and fiber and hit the spot. Combine all the fruity goodness, and refrigerate–no cooking. Perfect recipe for a last minute treat. Vegan, gluten free and dairy free. 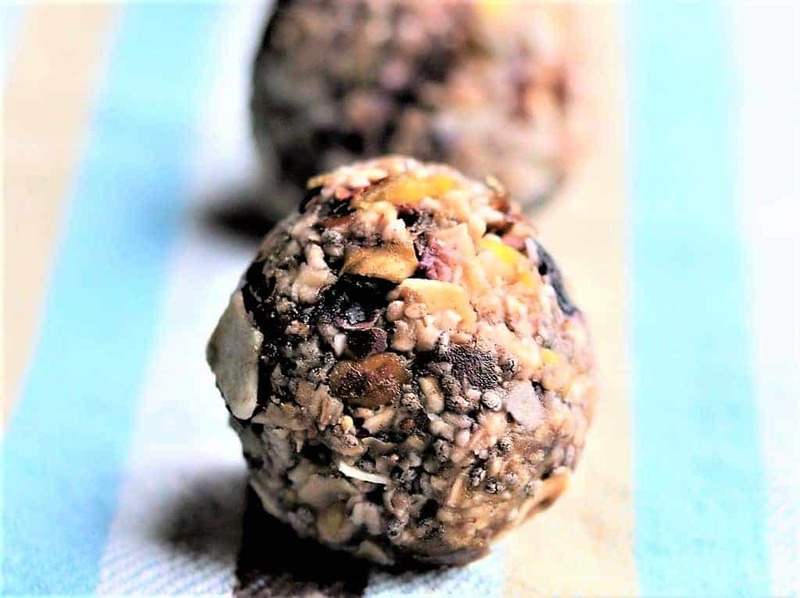 Yummy fruit and nut balls--so healthy and nutritious. Vegan, gluten free, dairy free. Mix all ingredients well in bowl. 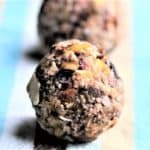 Roll into 12 balls and refrigerate 2 hours.